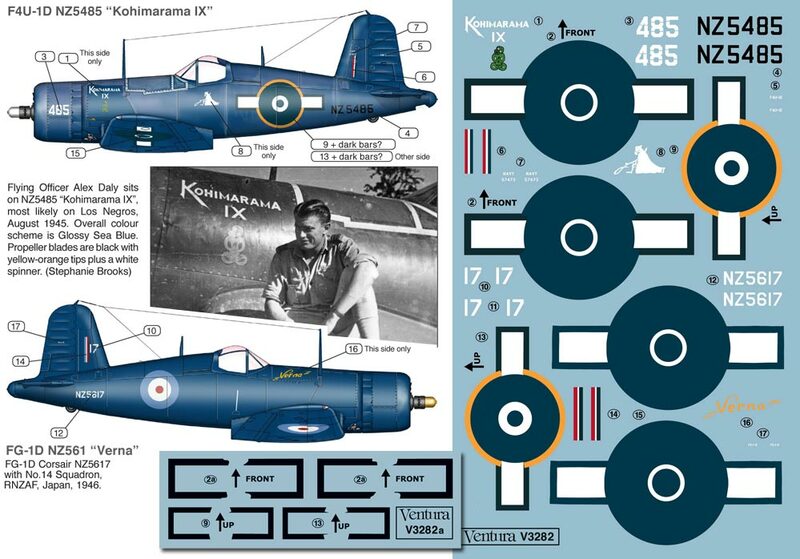 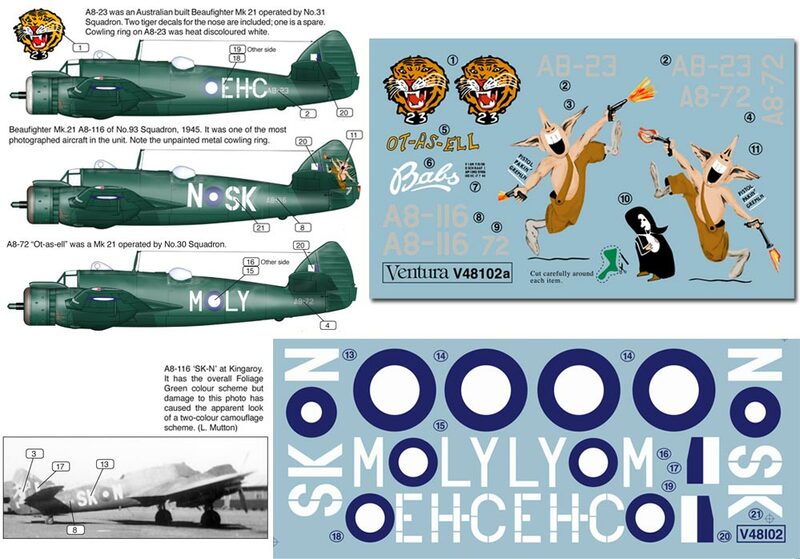 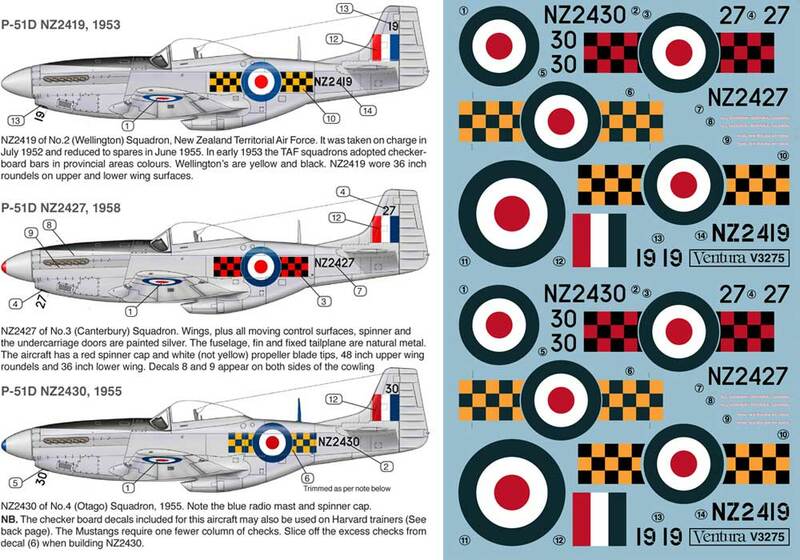 Details: New Zealand Territorial Air Force "checker board" Mustangs 1/32nd scale. 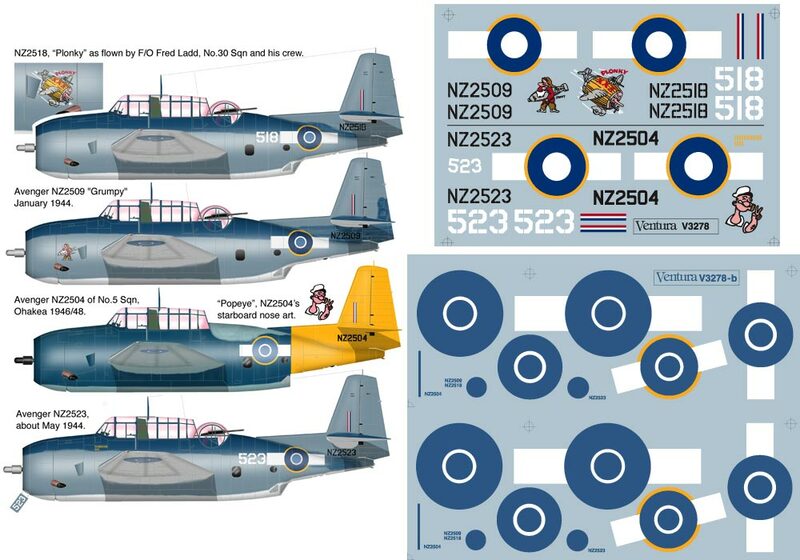 NZ2419 of No.2 Wellington, NZ2427 of No.3, Canterbury and NZ2430 of No.4 Otago Squadrons. 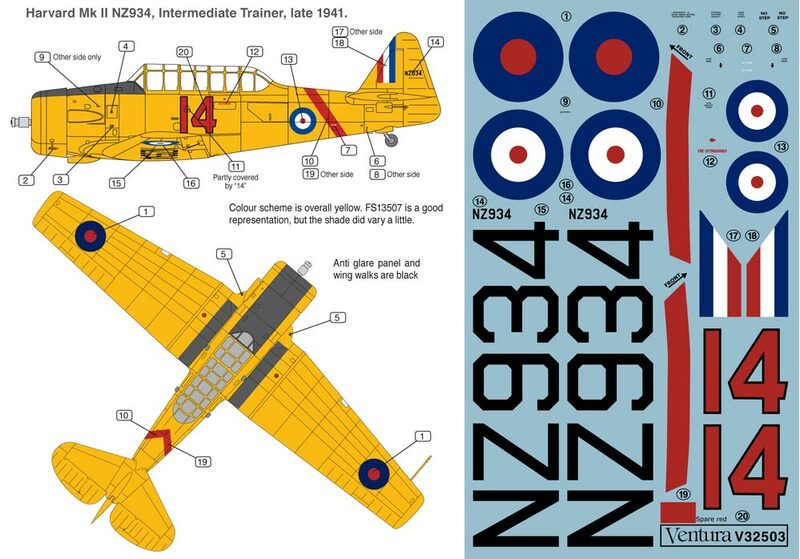 Extended fuselage checks are included for the No.4 Squadron aircraft so that they may be used to build a No.4 Squadron Harvard, circa 1956. 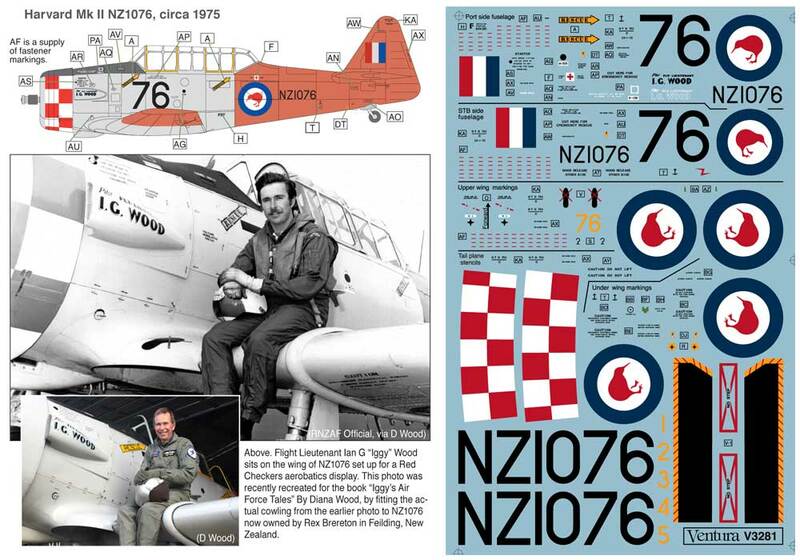 RNZAF/TAF.